Detailed information and reviews of Washington computers & internet services - computer repair companies, computer services, web designers, software developers and internet access providers. Post your requirements and receive no obligation price estimates and quotes. Lenovo laptop - Lenovo laptop has virus picked up online, wont let do much of anything. Upgrade a Toshiba Laptop, Satellite 105-S6024 in order to use dual monitors. 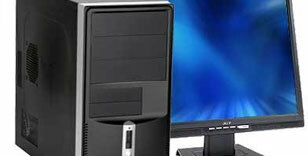 - Need to upgrade a Toshiba Laptop, Satellite 105-S6024 so that I can use dual monitors. Thanks much, Joe. Dell pc laptop and 4100 series deskjet printer - The printer still new just needs ink. Dell 3800 spirion laptop ( blue) in great condition needs charger. I wanna sel just recently upgraded. Estimate for laptop - Desktop replacement laptop about same specs as Samsung R780. Contact by e-mail only please. No phone available -- I just got back from PRC.